The Punjab Government has launched a special drive to select the Panchayats for the National Awards. Those Panchayats would be short listed for the recommendatation of the Award which have done excellent work for the over all development of villages. 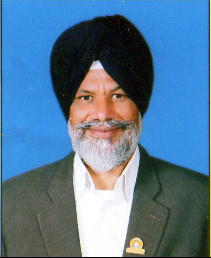 This was disclosed by Mr. Surjit Singh Rakhra, Rural Development and Panchayat Minister, Punjab. In order to short list the Panchayats a special criteria has been devised which would evaluate the various performance parameters of the Panchayats like infra structure development of village, social activities and better management and uses of Panchayat Funds. He said that Rural Development and Panchayats department has asked all the Panchayats to fill the specified questionnaire mentioning their achievements so that their case could be forwarded to the union government for the National Awards. He said that ‘Panchayat Empowerment Award’ would be given for the year 2013-14. Rakhra said that questionnaire containing 100 questions with 100 marks have been sent to the Panchayts. Panchayats have been asked to submit the duly filled questionnaire to State Institute of Rural Development (SIRD) up till November 18. pulging the detail of the selection of Panchayats for the National Awards, Mr. Rakhra further said that the performance of the Panchayats would be monitored by the committee of experts. The Panchayats would be found doing well in their specified area would be short listed and their entries would be sent to the union government for National Award.Rakhra appealed all the Gram Panchayts, Block Smitis and Zila Parishads to fill and submit the questionnaire in time, failing which they would be deprived off Award and futuristic assistance from the state government. He said that the Panchayats could contact SIRD for further information or could log on to official website.